We meet hundreds of Document Controllers every year, coming from over 50 industries, over 80 countries and 6 continents, and one of the most common topics discussed is the dissatisfaction of Document Controllers (or of their users) with their EDMS (Electronic Document Management Software Package). 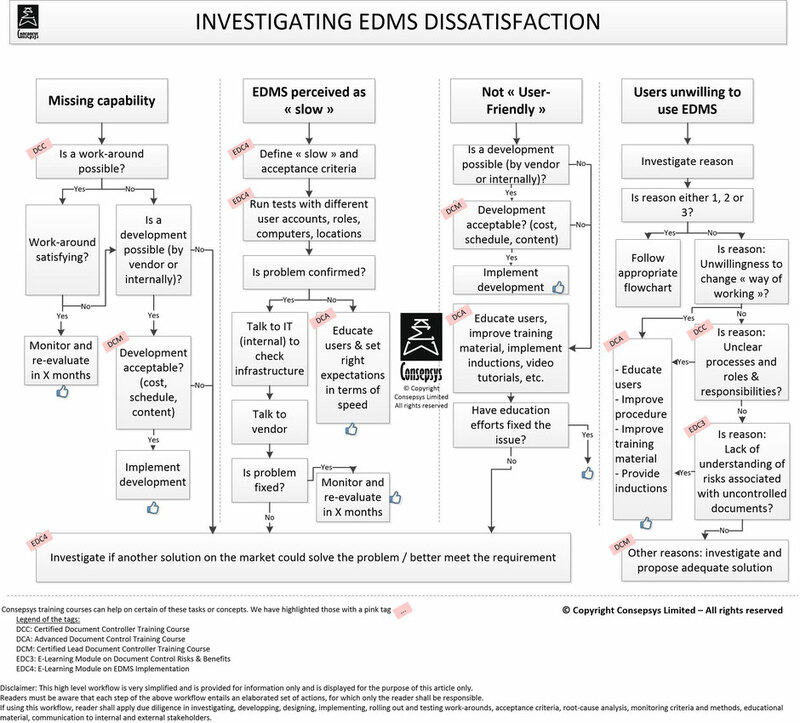 The most common reasons for EDMS dissatisfaction can be classified in 4 main categories. But sometimes, perhaps worse than a missing capability, is the case whereby the capability is here but not satisfactory. 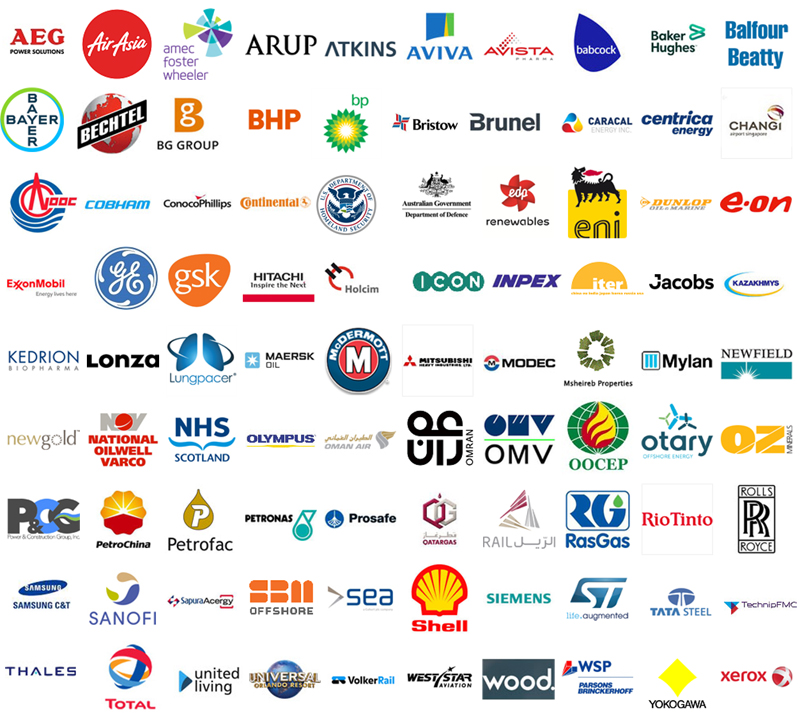 One example is that company that invested in an EDMS for its integrated capability for engineers to review documents and annotate documents with their comments directly within the software. At first, they thought their requirement was covered. But they later realised that it was impossible to extract those comments and annotations from the EDMS, for example into a nice clean PDF file that could be sent back to a contractor or supplier. The comments were logged into the software but if the recipient did not have access to the software then it was not of much use. One of the most common reasons, especially coming from non-Document Controller users is that the EDMS is slow, and that it slows them down when trying to do an effective job. What are the users’ expectations in terms of speed for the most common tasks (opening a document, validating a document, etc)? Do they mean that the software is slow (for example, I click on a button and nothing happens for the next 30 seconds) or that the process is slow (for example, when changing processes from a manual process to an automated software one, some actions may seem to have extra steps than before). This is also a very common comment about some EDMS solutions. Users find it “not user-friendly”. It can be for different reasons, for example some software suites require too many clicks to obtain results that the user perceives as “basic” (for example, to obtain a report on late documents, or to create a document). Sometimes the problem can also come from resistance to change: Humans are creatures of habits and sometimes changing software or using a different one than the one previously used in another company, can cause a first reaction of rejection. If it is the case, putting efforts on more education for the users to use the software, better training material, more inductions, etc can definitely help going through the first phases of rejection, and hopefully getting the users to love their EDMS. There can be of course other reasons, not necessarily linked to the software itself, or the IT infrastructure, but much more linked to lack of clear processes and procedures, lack of definition of clear roles and responsibilities, lack of understanding of risks associated with uncontrolled documentation, or benefits associated with controlled documents. The first thing to do should not be to immediately go and look for a new EDMS. The problem may not come from the software itself (and therefore may recur with another EDMS), but moreover there are extra steps to be taken to understand and quantify the problem as well as trying to find fit-for-purpose solutions. Consepsys has produced a high-level workflow to show some of the steps that can be taken to investigate and fix the most common causes of dissatisfaction. Download it here for free.